The OSRBG again joined forces with three other organisations to stage a 5 show event, in association with the Durbanville Petz Expo - at the same venue. The Cat Lovers Association of South Africa (CLASA) had it's 3rd show and 2nd Independent show, which was preceeded by the AICA 28th & the SACATS 10th shows. This was followed by the SACATS 11th show, in the form of a Ring took place at the same venue. A large number of visitors came to see the cats, dogs and other attractions. Smile Radio featured the shows during the entire weekend. Judges from Cape Town and Gauteng did a sterling job, while the friendly atmosphere was enjoyed by all. Many Exhibits, including Household Pets received their titles during the show, to the delight of their owners. The format was the same as other Independent shows, with the judges awarding a "Judges Best" each, from which one Overall Best on Show was chosen. Royal Canin generously sponsored the show with many prizes, spot prizes and a gift for every exhibit. Without them the show would not have been possible. 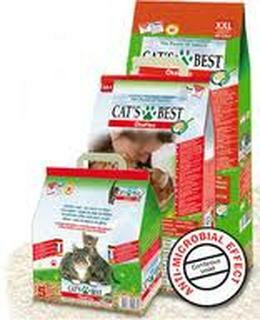 Show prizes were sponsored by Royal Canin and Cats Best. Click to see the other events on the AICA, CLASA and SACATS websites. Slideshow of a few pictures taken during the show.